We can easily imagine that sports is related to the economy. In order for us and people to play sports and watch sports, we need sports facilities, various sporting goods and various services. 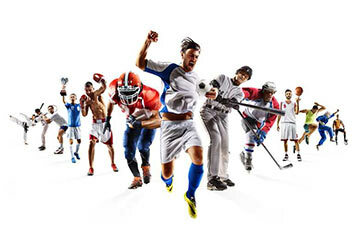 Therefore, markets arise there, and various sports industries supplying goods and services to the market will grow. Also, the club teams such as the J League and professional baseball will be involved in that area, and if the sports become popular, the club team will naturally lead to the development of the town if it gets bigger. Economic effects inevitably occur when the region promotes sports. And local companies also have a large economic effect due to the increase in exchange population due to urban theatricalization, such as public investment related to the development of sports facilities and sales of sports related goods. We will seek cooperation from various people, regions, teams and organizations to be practically used in the “football world” that we love. We believe that it is the goal to make independent schemes, which are essential for various sports teams to become free, and to build schemes that realize this in all sports. I would like to realize the world where sports make the impression and smiles of every fan against impression [as it is] will become additives of all sports. In addition, SOCCERCOIN will also proceed forward to follow the first currency of the forerunners such as NANJCOIN. SOCCER COIN has a self-air drop function in ERC 223. SOCCER COIN will increase by the above ratio according to the holding amount by remitting coins held in MEW to yourself every 3 - 90 days. SOCCER COIN (SOCCER) is Ethereum token complying with ERC 223. The coin will deliver the impression to the world soccer fans who love the sports world and the soccer world. We will do business alliance, business expansion and settlement specialized in football through the whole sports with the theme of "to impress the world more". Cooperation with boys and girls with dreams and groups closely tied to the area, Sports club football team , Futsal team, Player. Ultimately, we will set up J League team, produce Japanese national team and aim for FIFA World Cup appearance.